More pine trees, lakes and groups of log cabins, north to Oolu and then the Arctic Circle. No sign of Father Christmas, (well it was the summer), or many people at all for that matter, but plenty of reindeer. The Sami people were also selling reindeer skulls and antlers from little road side clusters of tepee type dwellings. 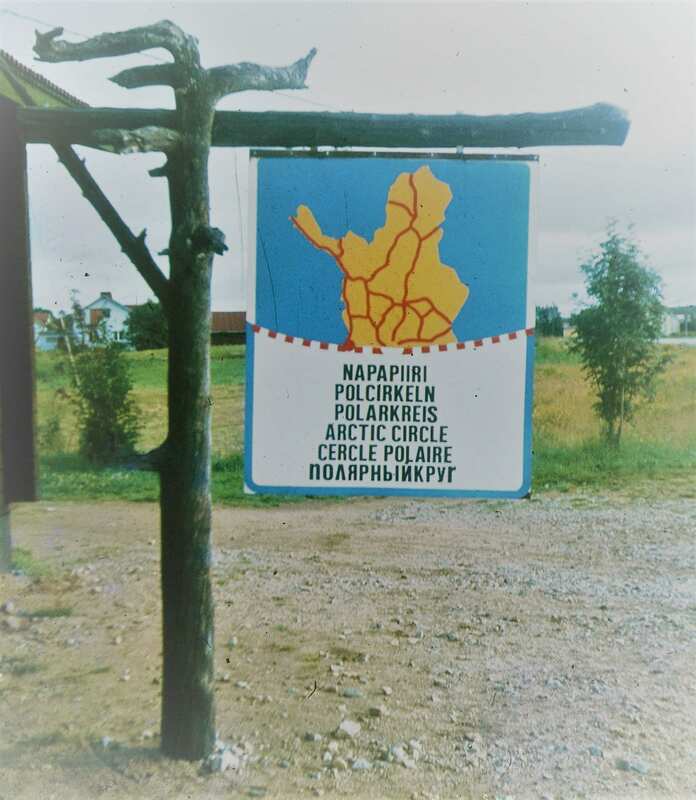 In Lapland (Lappi Province doesn’t have quite the same ring and the Sami’s prefer Sapmi anyway)) the sky is black with clouds of mosquitoes. When you go to pee by the side of the road it is key to expose as little skin as possible. A quarter of the country is in the Arctic Circle, also known as the “Land of the Midnight Sun”. It’s not easy to sleep in our two man tent, with the eerie light. Finnish Lapland is low lying with bogs, small lake and rocky inselbergs. West and north, we gain altitude, and there is taiga and, then bleak tundra. Onwards to Norway. The first inhabitants of Finland were the Sami (Lapp) people who were there when the first Finnish speakers migrated in during the first millennium B.C. The Lapps moved north into the section that is today known as Lapland. There are a world record 179,584 islands and a further world record 187,888 lakes within the boundaries of Finland. There are approximately 2.2 million saunas in Finland – one sauna for every two and a half people.